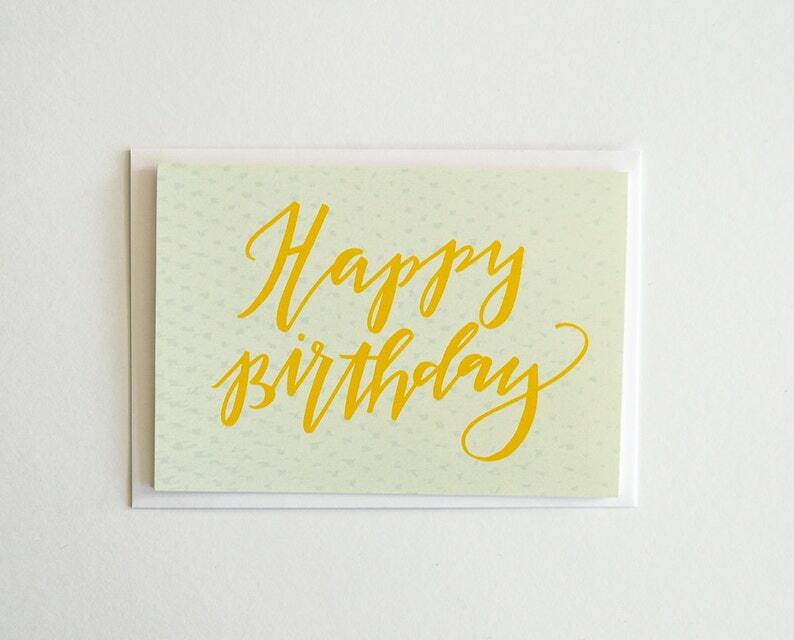 Send your birthday wishes with this unique greeting card. Hand lettered and designed before being digitized and digitally printed with love in Berlin. Our cards are protected in a cello sleeve and packed in a standard paper mailer. All items are shipped via Deutsche Post or DHL. All artwork is owned by Etepetete Design Co. and cannot be resold or reproduced in any way without consent. Due to different monitor calibrations, colors may differ slightly. I got this card for Valentine’s Day but I was so worried it wouldn’t make it here by the day itself. I messaged the shop owner and she did all she could to get it to me on time. I was so happy it made it and the card is really great quality! Well packaged and well designed. Thank you, Briana! Arrived well-packaged. The card is so colorful! I even got a handwritten thank you note from the shop owner, Briana, herself.